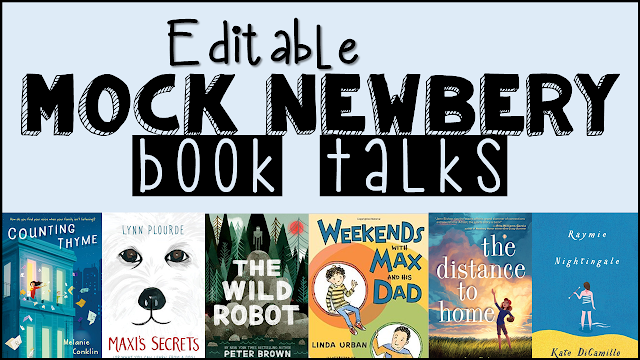 To help get students excited about Mock Newbery, I'm book talking six books from my list! Feel free to download an editable PowerPoint or check out the PDF! Just click the image below! 10 Back to School Picture Books for Big Kids! I survived my first week! I'm in love with my new group of fifth graders and all the learning and growing we've done already. I'm also really excited about all the picture books we've been reading so far this year! Here's ten of my favorite picture books to start off the year! What are some of your favorite picture books to start off the year? Check out the hashtag #pb10for10 for more great titles!